A team of biomedical engineers has developed and tested a graphene-based biosensor device that uses CRISPR/Cas9 technology to enable the digital detection of a target DNA sequence within intact genomic material. 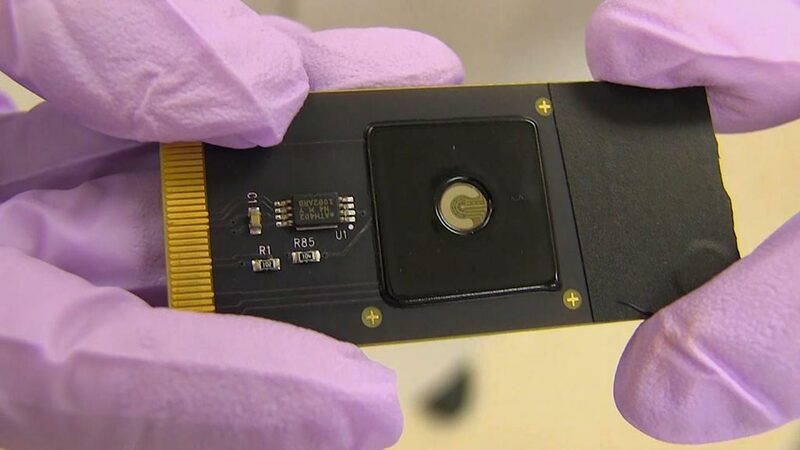 Image: A close-up of the CRISPR-Chip device (Photo courtesy of Keck Graduate Institute). In contrast to classical methods for the detection of nucleic acids, which require many reagents and expensive and bulky instrumentation, the "CRISPR-Chip" device developed by investigators at the University of California, Berkeley (USA) and the Keck Graduate Institute (Claremont, CA, USA) exploited the gene-targeting capacity of catalytically deactivated CRISPR-associated protein 9 (Cas9) complexed with a specific single-guide RNA and immobilized on a graphene-based field-effect transistor. 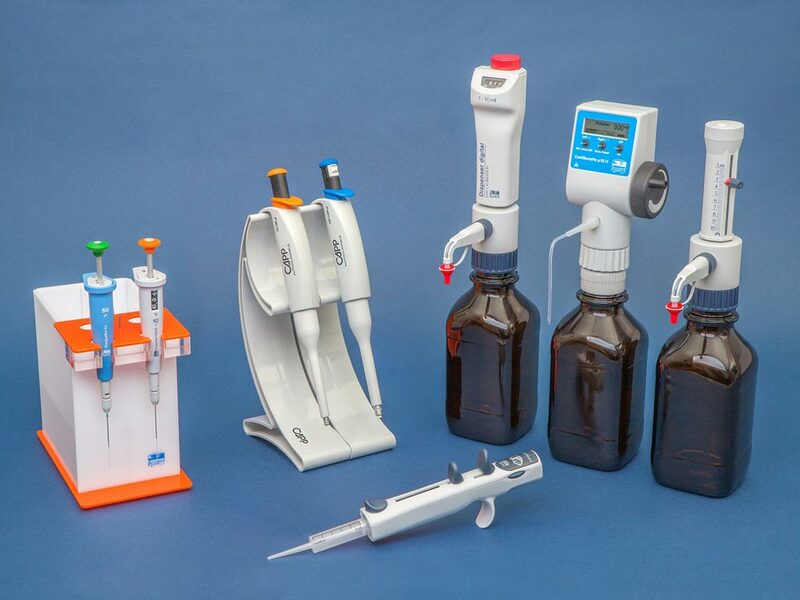 This created a label-free nucleic-acid-testing device whose output signal could be measured with a simple handheld reader. Mechanistically, the CRISPR complex located the target DNA site on the genome, bound to it, and triggered a change in the electrical conductance of the graphene, which, in turn, changed the electrical characteristics of the transistor. These changes were detected with a hand-held device. The investigators used CRISPR–Chip to analyze DNA samples collected from HEK293T cell lines expressing blue fluorescent protein, and clinical samples of DNA with two distinct mutations at exons commonly deleted in individuals with Duchenne muscular dystrophy. In the presence of genomic DNA containing the target gene, CRISPR–Chip generated, within 15 minutes and without the need for amplification, a significant enhancement in output signal relative to samples lacking the target sequence. "We have developed the first transistor that uses CRISPR to search your genome for potential mutations," said senior author Dr. Kiana Aran, assistant professor of medical diagnostics and therapeutics at the Keck Graduate Institute. "You just put your purified DNA sample on the chip, allow CRISPR to do the search and the graphene transistor reports the result of this search in minutes. Graphene's super-sensitivity enabled us to detect the DNA searching activities of CRISPR. CRISPR brought the selectivity, graphene transistors brought the sensitivity and, together, we were able to do this PCR-free or amplification-free detection. Combining modern nanoelectronics with modern biology opens a new door to get access to new biological information that was not accessible before." The CRISP-Chip device was described in the March 25, 2019, online edition of the journal Nature Biomedical Engineering.